Gloucester Point Rotary Club members picked up ten bags of trash along Hayes Road on October 31 to support their Adopt-a-Road community service project. They also maintain the Battle of the Hook historical site. 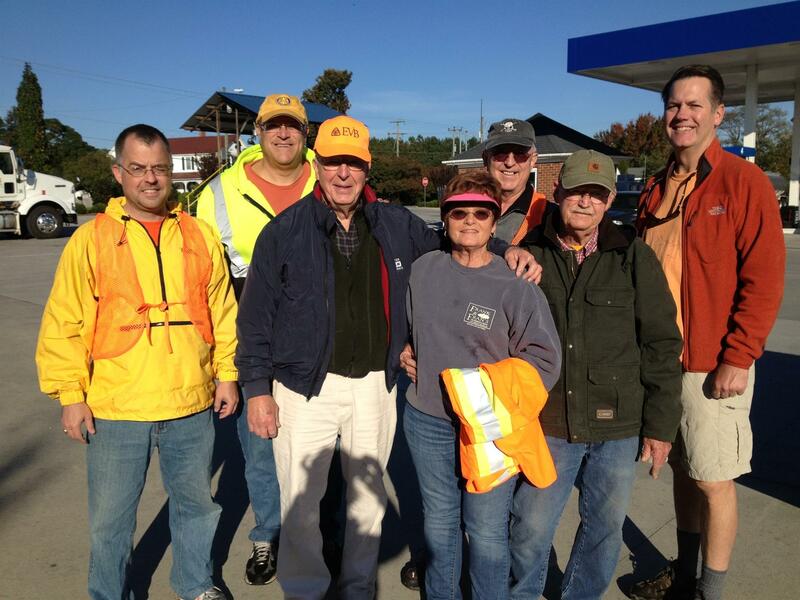 Photo (from left to right): David Keel, Greg Enterline (Club President), Kirby Smith, Linda Gaskins, Jim Camp, Robert Ealey, John Singleton. Not pictured: Margie Wiley, Karen Kovacs, Pete Olenick.